Cold Springs is a relatively new Pulte Homes development located off of Ronald Reagan Blvd.in Leander. It will feature a 42 acre fishing lake, 32 acres of parkland, a splash pad for the kids, a junior olympic pool, a basketball court, and a covered pavilion. Commuters also have short commutes into Austin, Round Rock, Cedar Park, Pflugerville, Lakeway, and Liberty Hill. Major employers in the area include St. Davids Round Rock Medical Center, Freescale Semiconductors, Seton Cedar Park Regional Medical Center, and DELL Computers. 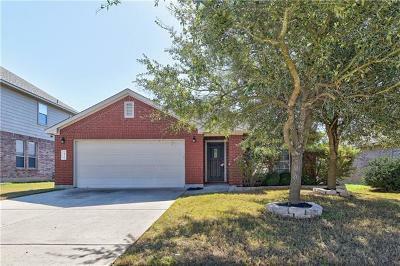 It is also very convenient to shopping at 1890 Ranch in Cedar Park, IKEA, Lakeline Mall, Wolf Ranch in Georgetown, and the Round Rock Outlet Mall. The new Cedar Park Center is close by for live events, and you can also enjoy the new Williamson County Regional Park. Homes for sale in Cold Springs in Leander typically run from the low $200’s-mid $300’s. Parkside elementary, middle school #8, and Rouse high school.